We have been with Truss-T-Frames since they started. We have used other frame and truss companies on two occasions with regret. The quality and service that we receive from Truss-T-Frames has always been nothing but the best and if there has been a problem, it’s fixed quickly without question. Can thoroughly recommend them without hesitation. 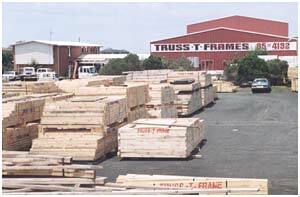 Truss T Frame Timbers have supplied Marksman Homes with quality timber frames for since 1987. Building a successful relationship I find Truss T Frame Timbers to be a very professional company with a quality product. I am a small builder in the Illawarra and have been using Truss T Frames since 1996 and have always been impressed with the price competitiveness and their customer service. I would have no hesitation in recommending them. Connors Building Pty Ltd has been working with Neil Phillips at Truss-T-Frames since 1997. In this time we have found the service to be excellent, prompt quotations and reliable deliveries. I would not hesitate to recommend Truss-T-Frames to any other builder. We have been using Trust -­T-­ Frame on our renovations and extensions since 2011 and have found the service to be very competitive in price, fast and actuate with their estimations and the delivered product of high quality. We would have no hesitation in recommending the company to any prospective clients.